Viewing this e-mail on a mobile device? Click here to view our web version. 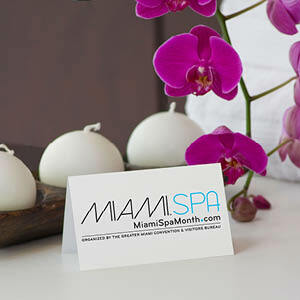 Greater Miami and the Beaches is renowned for luxury spas that are ranked among the "Best Spas in America." Celebrate with us during July and August as we feature Miami Spa Month where you can enjoy special treatments for $109 at Miami's premier spas. 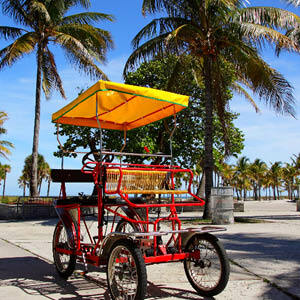 For more GMCVB Marketing Programs, visitMiamiTemptations.com. Biscayne National Park is the largest marine park in the National Park System, with 95% of its 173,000 acres covered by water. 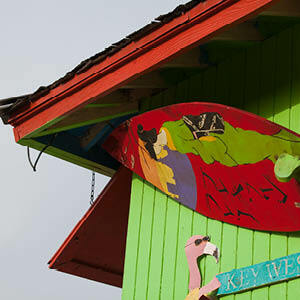 Within its boundaries are the longest stretch of mangrove forest left on Florida’s east coast, the clear shallow waters of Biscayne Bay, 40 of the northernmost Florida Keys and a spectacular living coral reef. Turquoise waters, emerald islands and fish-bejeweled reefs make Biscayne National Park a paradise for wildlife watching, snorkeling, diving, boating, fishing and other activities. #1 in Airline Carriers in the U.S.
Miami-Dade Aviation Department (MDAD) officials welcomed All Nippon Airways (ANA) executives to Miami International Airport on June 27, where the two sides continued ongoing discussions regarding potential passenger service from Tokyo to Miami. The Miami meeting followed talks earlier this month in Dublin, Ireland, at the International Air Transport Association (IATA) Annual General Meeting (AGM) and World Air Transport Summit - the world’s largest gathering of airline leaders. Always was. Always will be. According to the Miami Herald, A new Royal Caribbean cruise terminal will bring world’s largest cruise ships to PortMiami, thanks to a partnership between the line and Miami-Dade County. Partnership deal will go to a final vote before the Miami-Dade County Commission on July 6, 2016. Royal Caribbean Cruises and Miami-Dade County recently announced that they have reached a deal to build one of the biggest cruise terminals in the country at PortMiami, a move that will — finally — bring Royal Caribbean International’s massive Oasis-class ships home. The free Miami-Dade Transit Tracker App makes it easier than ever to have a fun-filled Miami-Dade County vacation on public transit. Metrorail, Metrobus and Metromover offer excellent travel value in Miami. They connect you from airport to hotel to scores of popular tourist destinations, by rail or by road. It’s a big system, but the MDT Tracker App puts it all in order for you. Download MDT Tracker App from the App Store or Google Play now! Now your SuperShuttle pick-up is faster and more efficient than ever with their new App! Faster booking & check-in, secure transactions and you can even locate your shuttle! SuperShuttle is the “official” airport shuttle operator at MIA and has “exclusive” curb side access at the MIA arrivals terminal. Their service offers shared-ride or private transportation to or from the airport, ports, hotel, home, or office. You can download the App and book your ride or call 305/871-2000. No matter where you’re headed, getting around Miami and Beaches is easier than ever thanks to new and exciting transportation options. From the Citi Bike program operated by DECOBIKE to the free trolley service available in several neighborhoods, quality taxi and limousine service and the ultra-convenient Miami METROMOVER and METRORAIL including direct service to MIA—we promise you’ll get there. Miami will soon enjoy access to high speed rail thanks to the new GoBrightline train service connecting the destination with other major cities in Florida. The popularity of this type of service available through mobile apps continues to grow for companies such as UBER, which is now available in 45 countries and more than 270 cities around the world. A similar service is offered by LYFT in more than 90 cities enabling passengers who need a ride to request one from drivers who have an available car. ZabCab, ZabCab Driver, and ZabCab Front Desk are companion apps for consumers, drivers and businesses. They work together to help passengers find taxis – and taxi drivers to find passengers – quickly and easily from a smartphone. They are available to download at the App Store and Google Play. FOR THE MONTHS OF JANUARY – MAY 2016, HOTEL ROOM OCCUPANCY IN GREATER MIAMI AND THE BEACHES REACHED 81.3 PERCENT, ONE OF THE HIGHEST IN THE SELECT GLOBAL HOTEL MARKETS AND RANKING AMONG THE TOP FIVE.DEMAND FOR TRAVEL TO GREATER MIAMI AND THE BEACHES DURING JANUARY – MAY 2016 REMAINED STRONG RANKING #1 IN REVENUE PER AVAILABLE ROOM (REVPAR), #2 IN AVERAGE DAILY ROOM RATE (ADR) AND #3 IN HOTEL ROOM OCCUPANCY AMONG THE TOP FIVE SELECT GLOBAL HOTEL MARKETS AS PROVIDED BY SMITH TRAVEL RESEARCH. On July 1, 2016 GMCVB President & CEO William D. Talbert, III, CDME officially began his tenure as the new 2016-2017 Board Chair of VISIT FLORIDA. The Board of Directors is the organization’s private sector governing body who, along with the members of its 11 committees, provide guidance, input and insight into the evolution of VISIT FLORIDA’s marketing programs. Appointed by Enterprise Florida in conjunction with the Florida Department of Economic Opportunity, the 31-member board is comprised of representatives from key sectors of the tourism industry and is balanced geographically throughout the state. The nine-member Executive Committee of the Board of Directors, made up of the officers and standing committee chairs, includes Gene Prescott, President - The Biltmore Hotel, who will serve as Treasurer; and Simone Champagnie, FIU Chaplin School of Hospitality & Tourism Management Executive Director of Development, who will serve as Secretary. Other Miami-based board members include Past Board Chair Andrew Hertz, President & General Manager - Miami Seaquarium; and Christine Duffy, President - Carnival Cruise Lines. VISIT FLORIDA – the official tourism marketing corporation for the state of Florida – promotes tourism to Florida through sales, advertising, promotions, public relations and visitor services programs. As a public/private partnership, VISIT FLORIDA serves more than 11,000 tourism industry businesses. Miami Spa Month, one of GMCVB’s most popular monthly Temptations programs, returns to the destination beginning July 1, 2016! Greater Miami and the Beaches is renowned for luxury spas that rank among the “Best in America,” and are beloved by spa connoisseurs around the world. 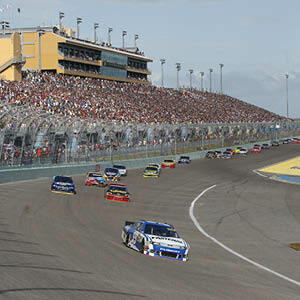 WWE's WrestleMania Week drew record-breaking crowds to Miami and Beaches in April 2012. Nielsen ratings are the audience measurement systems developed by the Nielsen Company in an effort to determine the audience size and composition of TV programming in the United States. On July 7, 2016, GMCVB President & CEO William D. Talbert, III, CDME will join Miami city officials and business leaders for the official grand opening ribbon-cutting for Atton Brickell Miami, Downtown Miami’s newest hotel and landmark U.S. property for Latin American-based Atton Hotels. William D. Talbert, III, CDME, President & CEO of the GMCVB will attend the retirement celebration for former City of Miami Police Major Delrish Moss, a veteran law enforcement officer and supporter of Greater Miami’s travel and tourism industry.In March 2016, Moss was appointed Police Chief of Ferguson, Missouri, a suburb of St. Louis. He was appointed to the position over 53 other applicants. Join the Movement: Vote for Vacations, Vote for Miami! GMCVB President & CEO William D. Talbert, III, CDME will be a featured guest on Pete De La Torre’s “The Voice of Business Miami” show on July 7, 2016. Mr. Talbert will be promoting the newest happenings in Greater Miami and Beaches, including Miami Spa Month, signature attractions and events, the Miami Beach Convention Center renovation and the business of tourism. On July 9, 2016, GMCVB President & CEO William D. Talbert, III, CDME will join Miami-Dade County Mayor Carlos A. Gimenez, PortMiami officials and partners will celebrate “History in the Making” the arrival of the MOL Majesty container ship – the first Miami-bound Neo-Panamax vessel to transit the expanded Panama Canal. A TSA Precheck enrollment event in the Miami area has been scheduled for the week of July 19-23. The site will be located at the Hilton, Miami Airport, located at 5101 Blue Lagoon Dr, Miami, FL 33126 USA and will be open for enrollments during the following hours: Tuesday and Wednesday, 10 a.m.-7 p.m. Thursday-Saturday, 8 a.m.-5 p.m. Check out the Independence Day Fireworks Celebrations on MiamiandBeaches.com to find the most spectacular July 4th fireworks displays. 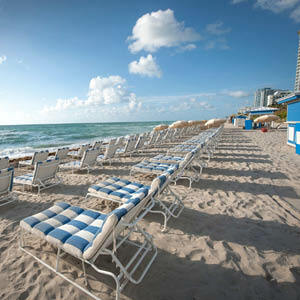 Miami is rallying Americans to vote for something that really matters…their right to vacation! There are many reasons to love every bit of Miami and Beaches. From our unique, vibrant cultural experiences to our multi-faceted arts scene, the beach and beyond. GMCVB Multicultural Tourism Team held its first planning meeting for the 3rd Annual Art of Black Miami event on June 23, 2016. More than twenty (20) local artists and organizations convened to discuss this year’s format. 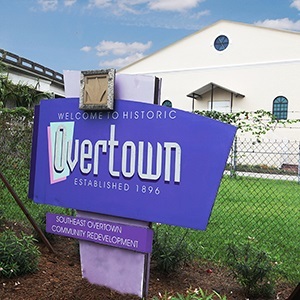 The discussion was engaging and attendees are looking forward to more national exhibits and enhanced connectivity to the various neighborhoods. Connie Kinnard, GMCVB of Multicultural Tourism attended NiteCap-Live on June 25,2016 which was a one-on-one formatted conversation about the future of Miami Gardens with the city’s Mayor, Oliver Gilbert III, and award-winning author and journalist Peter Bailey. GMCVB Convention Sales Team returned from a successful sales blitz to Chicago, IL USA. The Team made presentations at 15 association and corporate companies in Chicago and the suburbs. GMCVB President & CEO William D. Talbert, III, CDME provided a warm welcome to the attendees from across the nation of Smart Meetings East National held at the Trump National Doral. 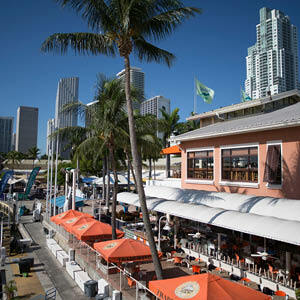 The event brought more than 60 planners for three days of networking and getting to know Miami. GMCVB Convention Sales Team attended Cvent Connect in Las Vegas, NV USA June 26-28, 2016. Cvent CONNECT is an annual conference where group business, corporations and associations come together to connect, learn and engage with like-minded professionals. GMCVB Media Relations Team partnered with The Setai Hotel Miami Beach which hosted a group of French media, June 26, 2016. The GMCVB provided itinerary enhancement for the group who were in Miami to review the Setai and write about the destination. GMCVB Media Relations Team assisted Italian travel vlogger Sara Izzi, June 27 – July 2, 2016. Sara was in Miami to do research for a Miami City Guide (guide + video). GMCVB Media Relations Team assisted Australian Freelance Journalist Karen Halabi, June 25 – July 2, 2016. Karen was in Miami doing research for feature stories forTheLuxeTraveller.com, a luxury travel advisory website. She will also be doing a Miami story forTravel2Next, a popular online B2B travel site. Miami will be the proud host of the Fédération Internationale du sport Universitaire (FISU) World University Netball Championships to be played on the campus of St. Thomas University on July 13-17, 2016. Netball America Inc. is hosting the prestigious event along with FISU and USA International University Sports Federation. GMCVB representatives domestically and all around the globe promote Greater Miami as the premier destination for leisure and business. Read their updates here. By going to Car Rental 8 you can get the cheapest car hire at over 50000 locations globally.